Electron has a new website at electronjs.org! We've replaced our static Jekyll site with a Node.js webserver, giving us flexibility to internationalize the site and paving the way for more exciting new features. We've begun the process of internationalizing the website with the goal of making Electron app development accessible to a global audience of developers. We're using a localization platform called Crowdin that integrates with GitHub, opening and updating pull requests automatically as content is translated into different languages. Though we've been working quietly on this effort so far, over 75 Electron community members have already discovered the project organically and joined in the effort to internationalize the website and translate Electron's docs into over 20 languages. 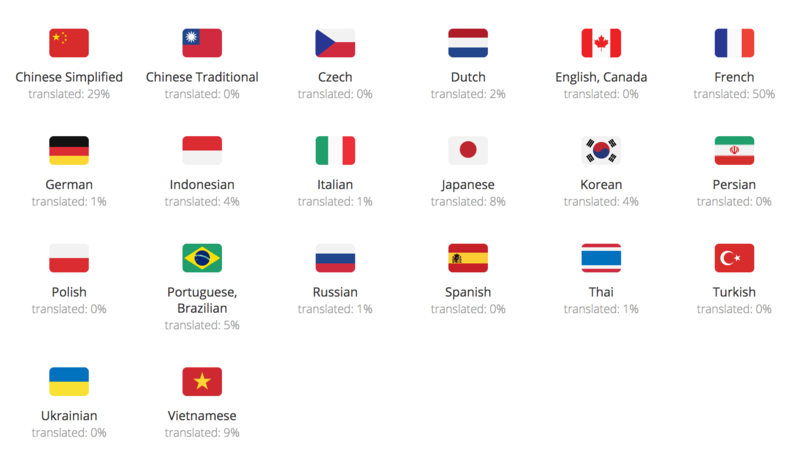 We are seeing daily contributions from people all over the world, with translations for languages like French, Vietnamese, Indonesian, and Chinese leading the way. If you're multilingual and interested in helping translate Electron's docs and website, visit the electron/electron-i18n repo, or jump right into translating on Crowdin, where you can sign in using your GitHub account. There are currently 21 languages enabled for the Electron project on Crowdin. Adding support for more languages is easy, so if you're interested in helping translate but you don't see your language listed, let us know and we'll enable it. There are some incredible Electron apps out there, but they're not always easy to find, and not every developer has the time or resources to build a proper website to market and distribute their app. Using just a PNG icon file and a small amount of app metadata, we're able to collect a lot of information about a given app. Using data collected from GitHub, app pages can now display screenshots, download links, versions, release notes, and READMEs for every app that has a public repository. Using a color palette extracted from each app's icon, we can produce bold and accessible colors to give each app page some visual distinction. The apps index page now also has categories and a keyword filter to find interesting apps like GraphQL GUIs and p2p tools. If you've got an Electron app that you'd like featured on the site, open a pull request on the electron/electron-apps repository. The Homebrew package manager for macOS has a subcommand called cask that makes it easy to install desktop apps using a single command in your terminal, like brew cask install atom. To view all the apps that have homebrew cask names, visit electronjs.org/apps?q=homebrew. If you know of other apps with casks that we haven't indexed yet, please add them! We've moved the site from electron.atom.io to a new domain: electronjs.org. The Electron project was born inside Atom, GitHub's open-source text editor built on web technologies. Electron was originally called atom-shell. Atom was the first app to use it, but it didn't take long for folks to realize that this magical Chromium + Node runtime could be used for all kinds of different applications. When companies like Microsoft and Slack started to make use of atom-shell, it became clear that the project needed a new name. And so "Electron" was born. In early 2016, GitHub assembled a new team to focus specifically on Electron development and maintenance, apart from Atom. In the time since, Electron has been adopted by thousands of app developers, and is now depended on by many large companies, many of which have Electron teams of their own. Supporting GitHub's Electron projects like Atom and GitHub Desktop is still a priority for our team, but by moving to a new domain we hope to help clarify the technical distinction between Atom and Electron. The previous Electron website was built with Jekyll, the popular Ruby-based static site generator. Jekyll is a great tool for building static websites, but the website had started to outgrow it. We wanted more dynamic capabilities like proper redirects and dynamic content rendering, so a Node.js server was the obvious choice. By migrating the website from Ruby to Node.js, we aim to lower the barrier to entry for people wishing to contribute to the website. 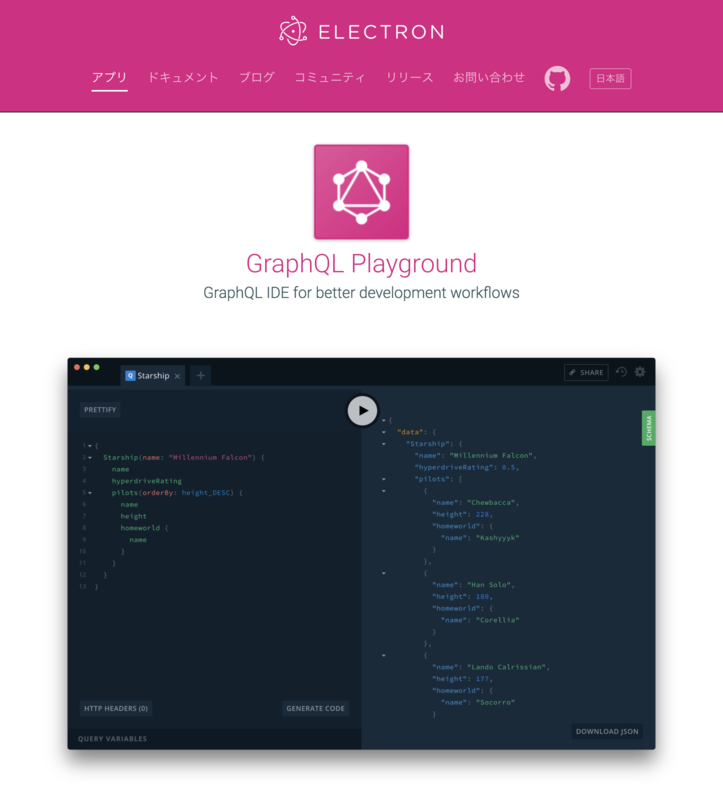 The new website is hosted on Heroku. We use deployment pipelines and the Review Apps feature, which automatically creates a running copy of the app for every pull request. This makes it easy for reviewers to view the actual effects of a pull request on a live copy of the site. We'd like to give special thanks to all the folks around the world who have contributed their own time and energy to help improve Electron. The passion of the open-source community has helped immeasurably in making Electron a success. Thank you!